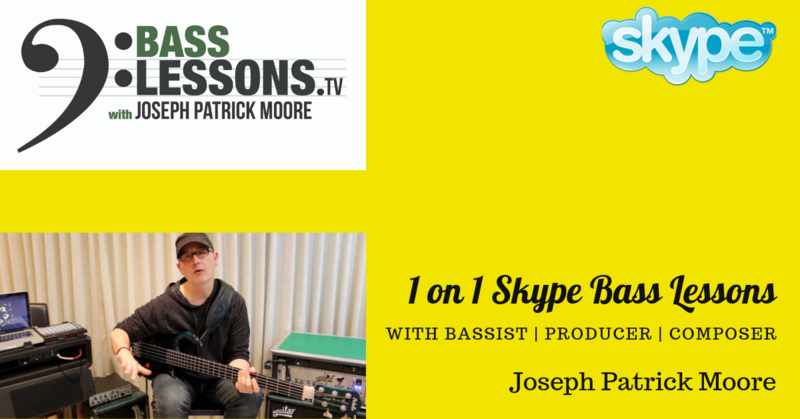 Many of you are already familiar with the free content and bass lessons that I offer at BassLessons.tv. As stated in our mission statement, we decide to make these lessons available for free in part to thank you for your support of my music through the years. Our hope is to continue to provide free content as time will allow. That said, If you are the type of person that needs individualized focused attention with one on one weekly online private bass lessons, I would love to help you reach your goals. I’m now offering a limited number of lesson times via Skype to accommodate those of you interested in a one on one inspired approach. Rates are $50.00 per 1/2 hour and $90.00 for an hour. All you need to get started is an internet connection with Skype installed on your device (desktop, laptop, tablet, iPad, iPhone).